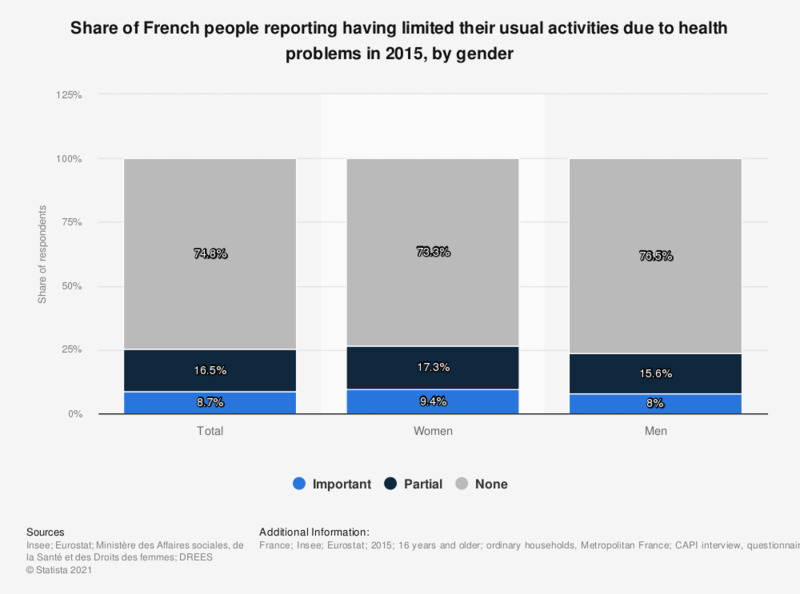 This statistic shows the percentage of French people reporting having limited their usual activities due to health problems in 2015. At that time, almost nine percent of all respondents felt very limited in their activities because of their health. The question was formulated by the source as follows: "Depuis au moins six mois, en raison de problèmes de santé, êtes-vous limité(e) dans les activités que font les gens habituellement ?" Statistics on "State of health in the United Kingdom (UK)"
In your opinion, what is the most important health issue facing people in West Virginia today?